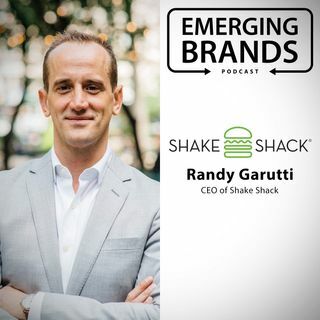 CEO of Shake Shack, Randy Garutti, has 18 years of experience with Union Square Hospitality under his belt. He’s learned directly from one of the greatest minds in our industry, Danny Meyer, and it shows in Garutti’s leadership style. As the chief executive of Foodable’s highest-ranked emerging brand, Garutti knows a thing or two about creating a successful, loved, and lasting brand. There are few key factors Garutti lives by. Firstly, Garutti believes success begins with those in ... See More leadership. To build a successful company, those guiding the way must be incredible problem-solvers with a focus and ethos aligning with the brand. Beyond that, key indicators of a successful brand include having a deep personal connection with customers, providing an array of convenient options alongside incredible service, and a commitment to improving with every step taken towards growth. Listen to this episode of Foodable’s Emerging Brands Podcast Series for more insights into how Foodable’s highest ranking emerging brand is meeting customers where they are.